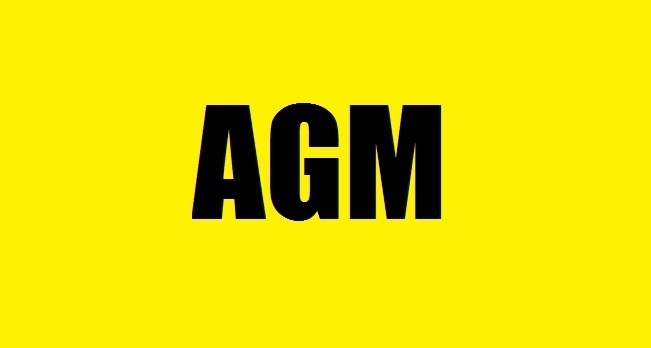 THE CLUBS ANNUAL GENERAL MEETING WILL BE HELD IN ACCORDANCE WITH CLUB RULES AT 7PM IN THE CLUBHOUSE ON 23rd MAY 2019. PLEASE NOTE THAT THE VOTING MEMBERS WISHING TO PUT A MOTION TO THE MEETING MUST DO SO IN WRITING TO THE Hon SECRETARY (cj1942@hotmail.com) BEFORE 15th MAY. ANY SUCH NOTICE MUST BE COUNTERSIGNED BY ANOTHER VOTING MEMBER.